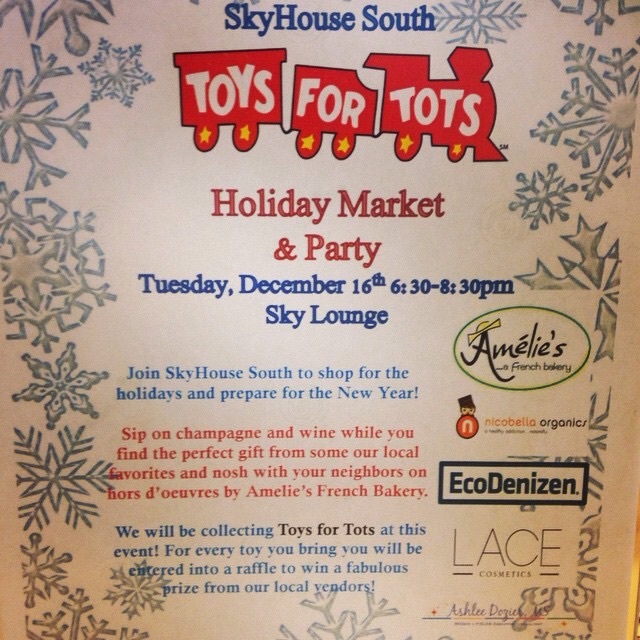 Last night I had a fabulous time teaming up with SkyHouse South Luxury high-rise apartments and Toys for Tots. We created a holiday market and party for the SkyHouse residence which gave them the opportunity to get some of their holiday shopping done and donate toys for some little tots. We had a great turnout and loved educating people on the amazing makeup of Lace Cosmetics. I was overly excited about seeing our flyer and my logo on the screen in the elevator. It's the small things in life. And when I got up to the 23rd floor, the view. was. everything. My table was next to the window and I just stood there in a trance. I love Atlanta. This guy. 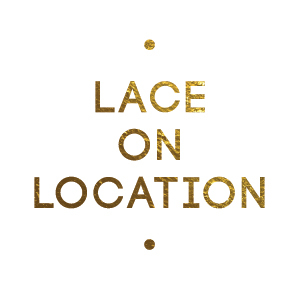 Did you know that Santa LOVES Lace Cosmetics? Well he does. Obviously. Our setup was so cute! It was photographed several times by the Jezebel Magazine photographer so fingers crossed! Hoping to be in their magazine! The winter collection was a smashing success. The set includes eyeshadow trio palette, Champagne smudgestick, Berry Jam Lipstick and Matte Cherry Tart Lipstick. Everyone who played with it decided to take it home. How could you say no to rich pigments and such long wear?